I am targeting Hurcott Wood & Pool near Kidderminster this year as there are few records for the site and it is quite close to home. While I will be happy to add any species to the site list (however common) I hope the mature Scots pine and the alder/willow carr may produce some decent moths later on. Vehicular access for light trapping will be dependant on dry weather for 2WD and is restricted to two vehicles. 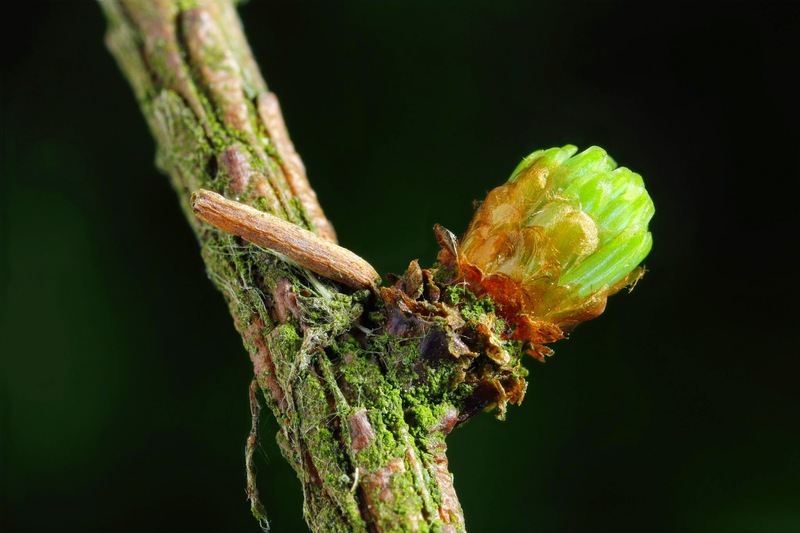 An hour or so searching yesterday produced some very small Coleophora laricella larvae feeding on the emerging larch needles (easily seen where present despite their small size). The only difficulty was finding branches low enough to examine. I also found several Metzneria lappella larvae in the seed heads of burdock which pleased me greatly as I have often looked for these at home and on nearby brownfield sites without success. The only result being my clothes covered with seed heads and my finger tips full of sharp little spines! 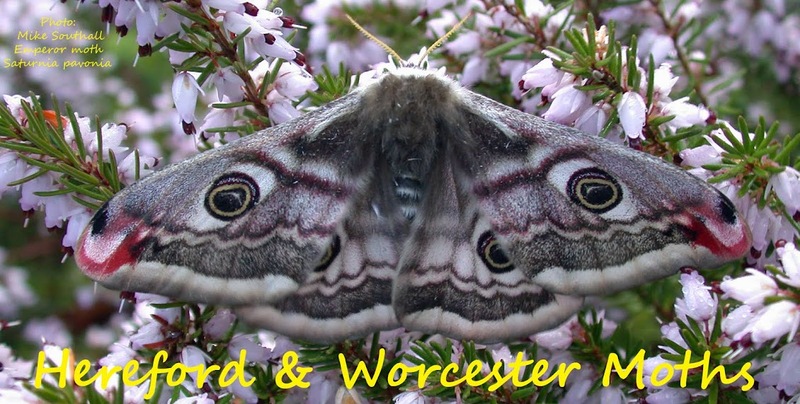 Mapmate shows few Worcestershire records for this species, all in the south of the county. 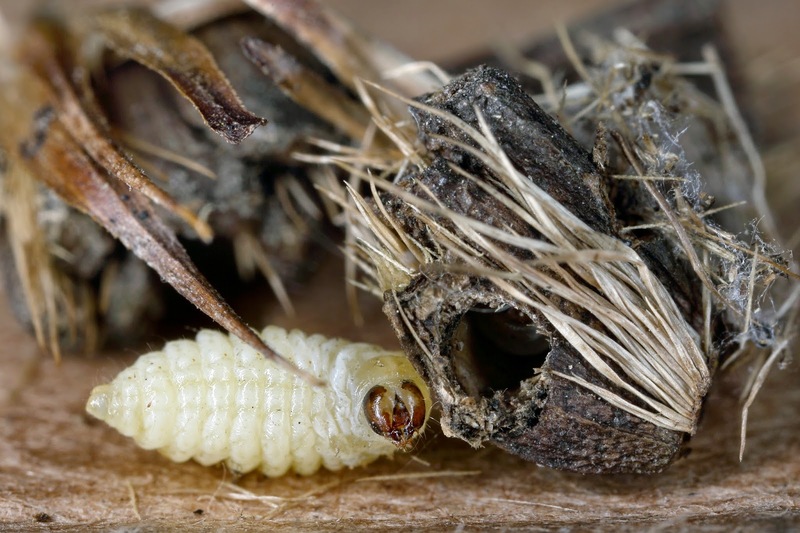 The photograph shows a larva removed from, but adjacent to, the hibernaculum. I went to the Devils Spittleful yesterday looking for the Phyllonorycter on Broom - I did not find it but I did check a Burdock plant in the lane on the way out and found M.lapella.